Satisfy your munchies at Sam Choy's Pineapple Express and Shorebar's united front for Hurricane Sandy relief. Sip on the jojo or campanula signature cocktails and get a taste of the Hawaiian islands with dishes like ahi tuna poke, wagyu beef sandwiches, and 12 hour braised kalua pork. 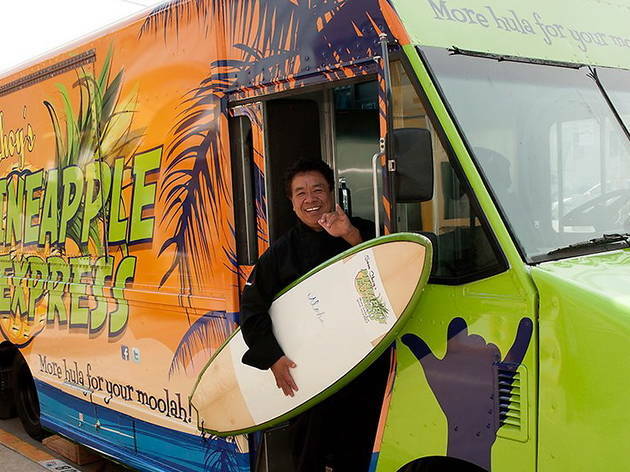 Sam Choy's truck will serve up island flavors all week long, so you can get lei'd everyday in the name of charity. Aloha Sandy - and we mean goodbye.